The fashion world hits us with new and exciting trends every season. While new clothes are always something to look forward to, over the past couple years, designers have really started paying a lot of attention to runway accessorizing as well and have in turn, given birth to some really edgy accessory trends. Constellation pins are basically a prettier version of bobby pins with a hint of glitter and bling. These are one of the most versatile and multifunctional hair accessories and can be used to play up any hairstyle, on any occasion. 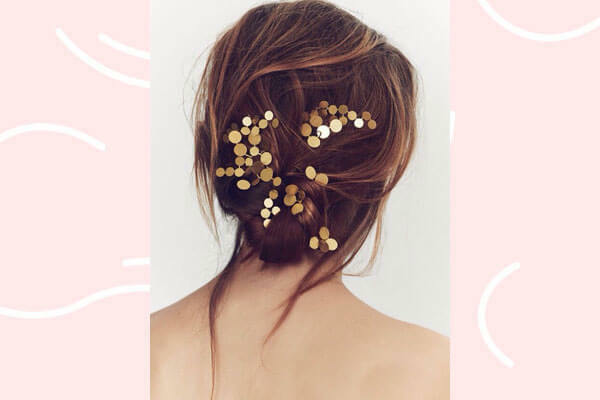 This season feel free to play up the bling and add some sparkle to your locks with constellation pins. Hair clips make such a cute little addition to your collection of accessories. 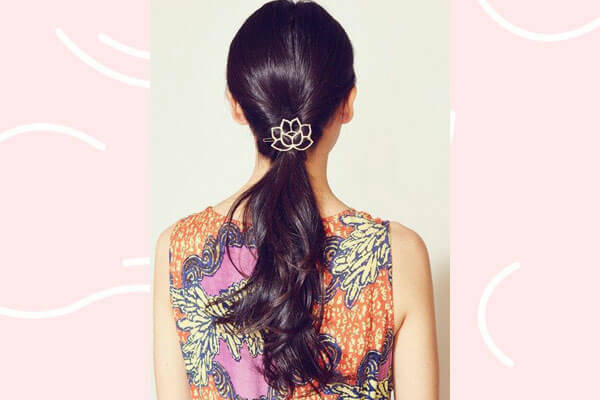 We particularly love this floral clip because it’s convenient and neatly keeps your hair in place. More importantly, this gorgeous floral design makes it versatile enough to be paired with all your traditional outfits. 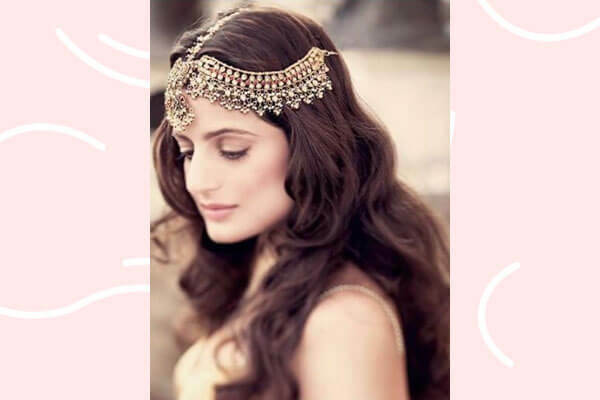 We all know there aren’t too many hair accessory options out there for Indian wear, so that makes this one a real winner for us Indian women. Hair combs are a go-to hair accessory when you’re trying to look your dressy best. It’s been a popular choice among celebrities at most red carpet events and is also a favourite with brides on their big day. 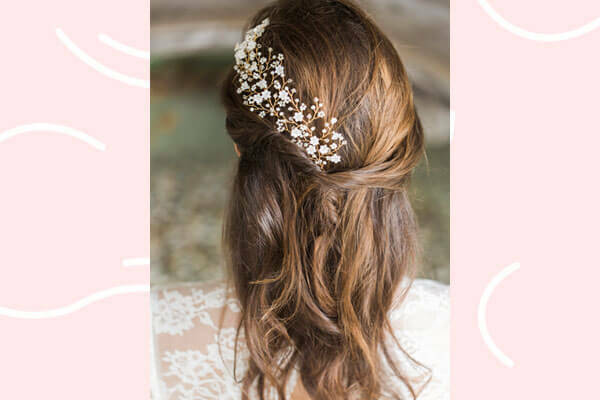 We particularly love this floral-vine hair comb because it makes for such an elegant, chic and subtly glamorous addition to your gorgeous outfit while also not stealing away too much attention from the rest of your look. It’s impossible to go wrong with this one! If you’re going for a traditional Indian look and want to do better than just a string of flowers then this one’s an option worth exploring. This hair trend is of the most sought after when looking to play up bun hairstyles – both high and low. PS: It looks particularly grand when paired with Kanjeevaram saris. Tattoos have been popular for many years, but now, it’s taken over as a hair trend too! It’s become a hot favourite with both men and women as a way to spice up their otherwise boring hairstyles. With hair tattoos, the possibilities are infinite because you can play around with a multitude of designs and even colours. And the best part is, it lasts only as long as your hair grows back so if you’re not satisfied with your hair tattoo, you won’t be stuck with it permanently. Women and flowers are practically synonymous…they always have been. There are so many hair accessories out there today, but we still find ourselves drawn back to the basics…fresh flowers. 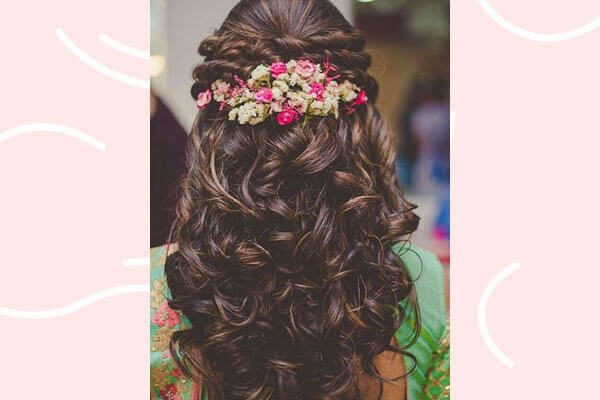 Just a simple rose, or a garland of Jasmine flowers is still the most elegant way to bring out the true beauty of your silken locks; especially when paired with traditional Indian outfits. And clearly, the fashionistas agree because this trend has totally taken over the runway this season. A maatha patti is one of those must-haves for every Indian bride to be. This single ornament will have a major impact on your bridal look and has the power to make you look like absolute royal. We particularly love this elaborate number because we strongly believe that it’s a bride’s birthright to be the most glamorous woman in the room. 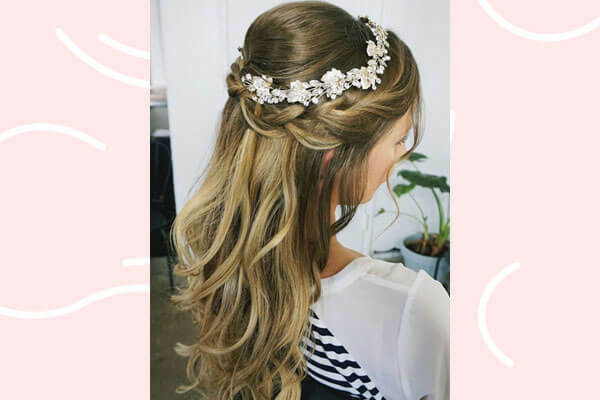 Jewelled hairbands and tiaras are another red carpet favourite that’s emerged as quite a popular hair accessory trend worldwide. Come to think of it, girls have been conditioned to embrace this accessory right from their childhood days (remember all those fairy tales). 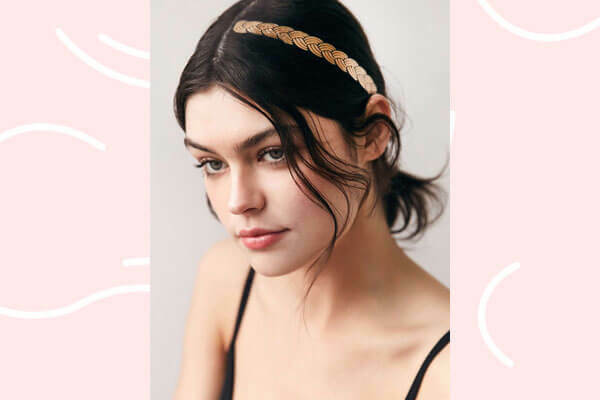 Although these hairbands are best paired with western outfits, especially cocktail gowns, when done right, they can also make a beautiful addition to your Indian wear. So no matter what your sense of style is, you can still channel your inner princesses with this trendy number!